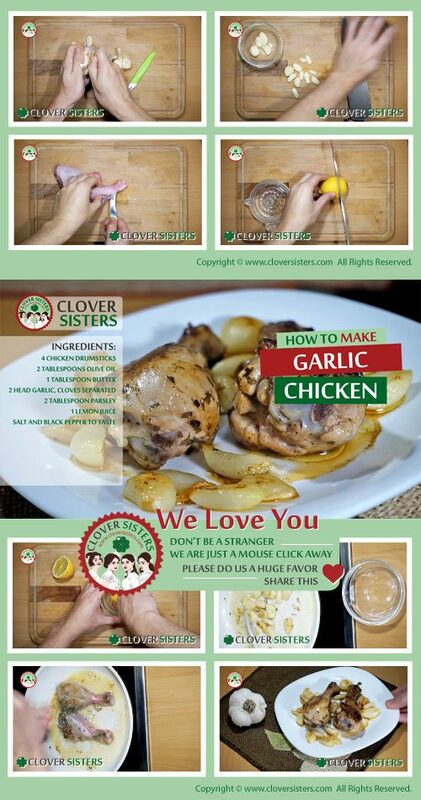 This garlic chicken dish is a delicacy. Full of flavor and really easy to make and when you try it you are not going to resist the temptation of cooking it over and over again, especially if you like the garlic. Put the extra-virgin olive oil and butter into a heated frying pan, add the garlic and cook for about 3 minutes until it becomes brown in color. 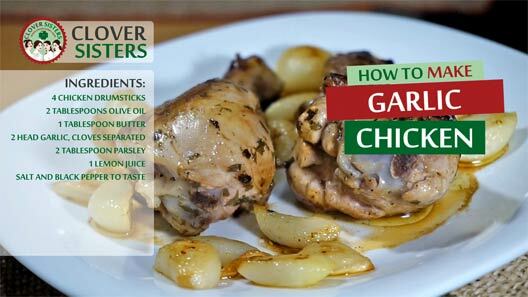 Remove the garlic from the pan and add the chicken drumsticks, fresh parsley, lemon juice, salt and black pepper to taste and cook until the chicken drumsticks are done. Serve it together with a garlic, lemon and mashed potatoes.